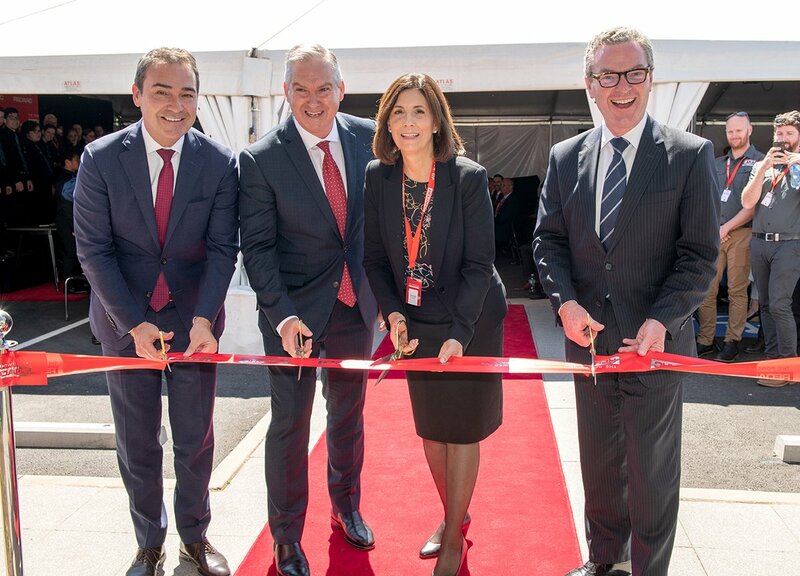 South Australian-based advanced manufacturer REDARC has created 100 new specialist jobs with the opening of its expanded headquarters at Lonsdale, in Adelaide’s south. The expanded factory, which will be the home of advanced electronics manufacturing in the defence, automotive and mining sectors, will enable REDARC to increase its manufacturing capacity by 250% and significantly increase productivity. REDARC Managing Director, Mr Anthony Kittel, said the $22 million development has added an additional 3,000sqm of advanced manufacturing space to the company’s existing premises at Lonsdale. “We have been growing strongly in recent years by targeting the North American and European automotive aftermarket with our dual battery chargers and our award-winning Tow-Pro Elite brake controller,” he continued. He said the upgrade also involved the purchase of a new Surface Mount Technology line for loading electronic components, an Electromagnetic Compatibility chamber and a Vibration test lab, as well as three new Universal Collaborative Robots ‘Cobots’. “In addition to expanding the facility, the grant has been used to purchase state-of-the-art machinery and testing and validation equipment to enable us to exceed international standards,” Mr Kittel noted. Defence Industry MInister Steven Ciobo said the project has been supported by a $2.5 million Federal Government Next Generation Manufacturing Investment Program grant received in 2016. “This is yet another vote of confidence in Australia’s defence industry,” Minister Ciobo added.